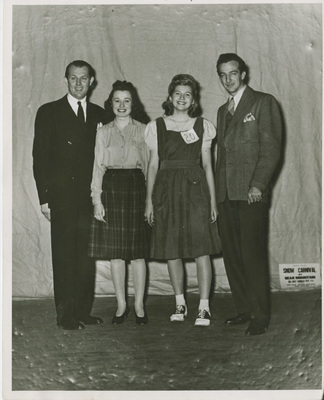 Black and white photograph of two men and two women who appear to be contestants in the King and Queen competition. Taken by Bert Tunkel. Undated.